While the focus on national governments as the main providers of different forms of transnational governance in Southeast Asia is entirely understandable, such a focus can significantly under-estimate the roles played by non-state actors. This comprehensive collection provides five different case studies that explore in detail how these governance forms work in different policy arenas. While previous studies have noted the way that non-state actors act as pressure or advisory groups, lobbying or advising states and regional organisations, this book explores how they are now more actively involved in a variety of cross-border networked forms of coordination, providing standards, rules and practices that other actors voluntarily abide by. 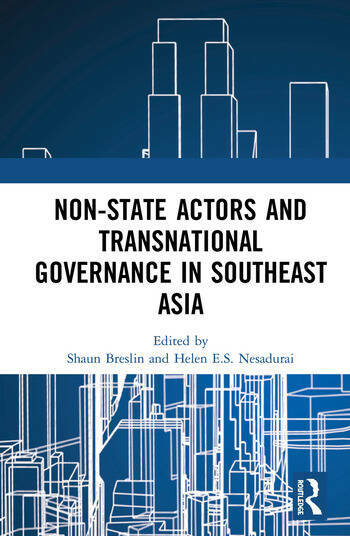 The chapters in this volume reveal variations in the architecture of transnational governance, why they emerge, the modes of social co-ordination through which they work to shape actor behaviour and achieve impact, their normative implications, and how these governance schemes intersect with state and national regulatory frameworks. The authors point to the importance of looking beyond arrangements established through intergovernmental mechanisms in order to gain a full understanding of how international interactions are organised in Southeast Asia. This book was originally published as a special issue of the Journal of Contemporary Asia. Shaun Breslin is Professor of Politics and International Studies at the University of Warwick, UK. Helen E.S. Nesadurai is Professor of International Political Economy in the School of Arts and Social Sciences at Monash University Malaysia.